The best things in Life are Free, The Rest are too expensive! 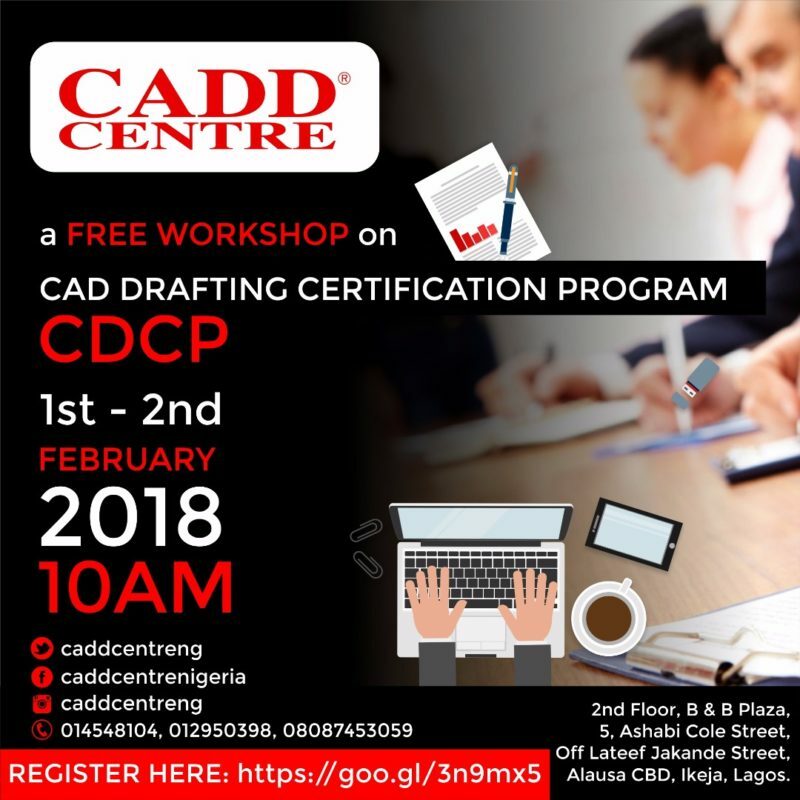 Join Our FREE Workshop on CAD Drafting Certification Program (CDCP) coming up on 1st and 2nd February 2018 at B&B Plaza, 5 Ashabi Cole Street, Off Agidingbi, Alausa Ikeja. Time is 10am. This entry was posted in News, Offer and tagged AutoCAD, CADD, CDCP.